God gave us free will. We’re free to choose right or wrong. 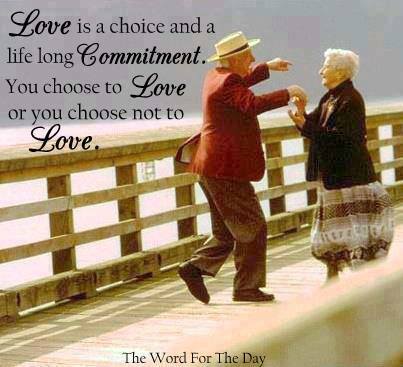 Love is a choice! There is no such thing as divine energy holding two people together, that simply is not love. Love would be meaningless if it was not an ACTION of our free will, but pre-programmed to love someone. It just doesn’t make any sense. We can fall off a bike, fall off a chair, fall in the toilet, but we cannot fall in love. We choose to love. Falling in any context, is not choosing. This brings me to the purist definition of love you will ever find. It’s when you’re intelligence sees the good in another, and realises that they are utterly unique. Aligning your will with this discovery, is what you’re talking about, and reorganising your life around seeing them flourish is the choice- the act of loving them. Thanks so much for giving everyone such a special possiblity to check tips from this web site. It is always very pleasing plus packed with amusement for me and my office peers to visit your site at the very least three times in a week to read the latest items you have. And of course, I am at all times fascinated concerning the very good opinions you serve. Selected two tips in this post are particularly the most efficient we have all ever had.